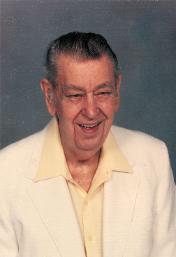 Arthur L. "Bud" Johnson, Jr. was born and raised in the Rockford, Illinois area. Following service in the Army during the second world war he held several sales positions with Coleman Company and Queen Stove Company among others. He returned to Rockford and was a distributor of appliances and cabinet work to home builders. He later developed a tapping system which is still popular in the beverage industry. In 1990 Bud established The Arthur L. “Bud” Johnson in Memory of Elaine V. Johnson Foundation. Elaine was Bud's beloved wife. Bud had a life-long love of German Shepherd dogs and loved seeing them used to help people. He began making grants to assist organizations providing German Shepherd guide dogs. Over time, Bud expanded the Foundation's focus to include other dog breeds and handicap assistance animals in general. He also expanded the Foundation's mission to include funding nature conservation and the preservation of wildlife. Bud passed away in 1997 and generously left the majority of his estate to the Foundation. It is our pleasure to continue his good work. The Foundation has helped many organizations realize their goals, and we’re proud to be part of their stories.